Low espalier training system, average plant density of 5000 vines per hectare with an average yield of 6000 kg of grapes and 3600 liters of partly fermented must. Mixed soil. Winemaking: The grapes, harvested in mid September, are softly pressed. The fermentation of the free run juice is stopped at the desired alcohol content through refrigeration and sterilizing filtering. The partly fermented must is put on the market after a short bottle ageing. Description: Straw yellow with golden hues. 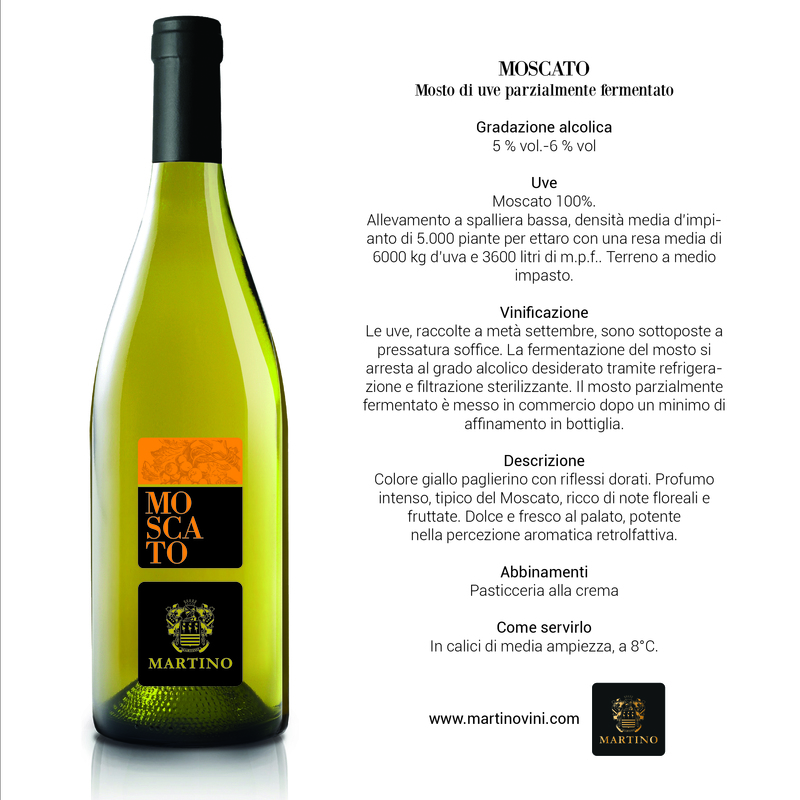 Intense bouquet, typical of Moscato, rich of floral and fruity notes. Sweet and fresh on the palate, powerful in the aromatic after aroma expression. How to serve it: In medium width stem glasses, at 8°C.